Mobile phone community, recently is being treated by one of the smallest touchscreen smartphone from the Korean Mobile phone innovator, LG, with the announcement of LG Mini GD880. LG Mini GD880 comes at about the same time as its compatriot rival, Samsung, unveiled a similar S8520 Monte a few days before the start of the 2010 mobile World Congress in Barcelona. LG developed the LG Mini GD880 in response to specific requests from actual consumers who were unhappy with current full touchscreen phones that are too bulky, too clunky and too expensive. The easily pocketable LG Mini GD880 delivers great looks at a reasonable price, along with the trendy features that people want. Indeed, while it lives up to the "Mini" name in looks, size and pocketability, there's nothing "mini" about its feature set. LG Mini GD880 has a 5-megapixel autofocus camera that features image stabilization, face/smile detection, geo-tagging and VGA video recording at 15fps. A front-facing secondary camera supports 3G video calls. LG Mini GD880s stand-out feature is a 3.2-inch TFT LCD resistive touchscreen with WideVGA 480 x 854 pixel resolution supporting 256k colors. There is multitouch with gesture control, an accelerometer, an ambient light sensor and scratch resistance glass surface. Multimedia features come with usual media players for all the popular audio and video file formats including DivX and Xvid. You also get Dolby Mobile, FM stereo with RDS and a 3.5 mm headphone jack. 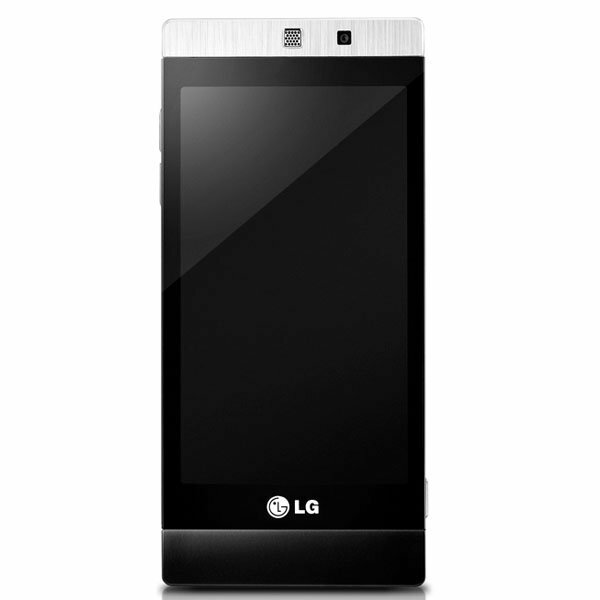 LG Mini GD880 has phone memory at 330 MB plus up to 1,000 phonebook entries with photocall. You can expand this with a hot-swappable microSD for up to 32 GB. A 900 mAh Lithium-ion battery (LGIP-550N) powers up the handset. LG Mini GD880 uses LG's proprietary OS the popular S-Class UI on top. It comes pre-bundled with a document viewer for MS Office and PDF files, a WAP-enabled HTML browser with Flash video as well as email client support. LG positions it as a social networking aware handset with apps like the Social Network Feed that automatically updates your Facebook and twitter accounts, a Social Network Connect for getting in touch with your SNS friends easier than on a PC and a Social Address Book containing all your online SNS contacts.